If you're looking for a perfect location for a first class French or Italian restaurant, then look no more! This quaint 1,900 Sq. Ft. restaurant facility is perfect for a romantic and exquisite French or Italian restaurant you've always wanted to own. Located in the heart of the growing city of Riverside, this restaurant is in a stand alone building with 17 parking spaces available on the property. 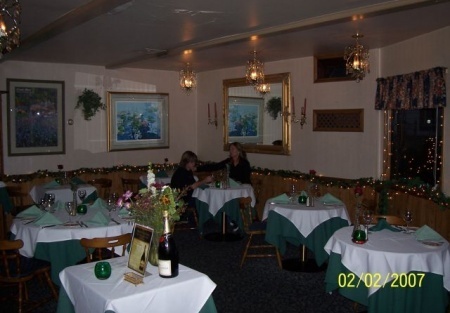 There is room for about 45 to 55 customers to enjoy an old European style dining experience with large mirrors, artwork, in a white table cloth dinning environment. It'd cost a couple hundred thousand dollar to build this restaurant if you could find a location in the Riverside area. The rent is low at $3,250 per month plus NNN. The Landlord wants the person to be successful, so he is willing to give the first three months of operating rent-free along with a $10,000 tenant improvement credit and this is one of those rare and reasonable landlords you'll love working with. In fact, the Landlord is willing to give the tenant an option to purchase the property too! Please call for terms. There is a beer and wine license available. Current owner is leaving the restaurant business.